Still to this day, I can remember the sounds of Motown Classics playing on the radio on Saturday mornings. Waking up to this sound was the dreaded signal that our mornings would be filled with dusting, vacuuming, and cleaning. My brother and I had our routines and we knew them well. Growing up, I thought the routines and processes my mother had in place were crazy. Today, I absolutely love them and even have modified them to create my own system. It’s helped me create a 3 part cleaning system that not only gets your kids helping you around the house, but teaches them skills that will last a lifetime. Having a house with 8 children can get a little bit messy! The amount of dishes, dirty socks, and sticky tables is enough to make anyone want to pull their hair out. My anxiety levels rise to the highest heights when my house is a wreck. It doesn’t mean that our house is spotless. That would be a gross exaggeration. Our house is definitely lived in! I just admitted that the task of keeping the house clean could not be left to me. We believe in getting everyone involved, because we all live there. My general rule of thumb is, If the child is old enough to make the mess, they are old enough to be a part of a system to learn to clean. Over the years, I have tried many systems and chore charts to help me teach my kids about chores. The majority of them focused on ways to remind my kids to do their chores. Stickers, charts, calendars, apps, there are tons of ways to REMIND your kids. However, I realized I wanted something more than just reminding my children when to do their chore. I wanted a system that gave them essential life skills and taught them HOW to do their chore. It is so much easier to clean without my kids! I don’t want my kids exposed to cleaning products. They aren’t going to do it right. These are common reasons many moms don’t get their kids involved with the cleaning process. I get it. Honestly, I do. The thought of leaving my kids unattended to clean an area or the entire house was enough to make the hairs on my neck stand up. However, I promise, the reward comes in the work you put in upfront. Show Them! Support Them! Send Them on Their Way! Is not designed for parents who want a quick fix to getting chores done or the house cleaned. There is work involved and it takes time for kids to really learn how to clean, but once they have mastered it, Holy Moly! You will find your cleaning process to be much simpler. Before you can even begin to show your kids how to clean, the first step is to separate your house or chores into zones. In our house, we have four children who are responsible for four zones. As a homeschool family, our house hot spots are the kitchen, dining room (which is our school room), the living room, and our bathrooms. These four spaces are the most used and can be perfectly straight to looking like a tornado hit them in under 5 minutes. It may seem a little cumbersome, but WRITE THE STEPS DOWN! It will save you a ton of time later and it will serve as a checklist for your kiddos when completing the task independently. Do you want to take it a step further? Snap a photo of your zone when it is clean. The next step is to gather all of the supplies that are needed to clean each zone. In my house, I find it easier to purchase multiple bottles of the same product so that each zone has its own supplies. This eliminates excuses such as, “I couldn’t do the mirrors because (insert sibling name) had the glass cleaner.” Now, don’t get me wrong, this doesn’t mean you have to have multiple vacuum cleaners. It just means, having a caddy with the necessary wipes, products, etc. in one bin already in the zone will set your kiddos up for success. In addition to the cleaning caddy for each zone, print and laminate the cleaning checklist you already created and place it with your supplies or you can even hang it up in the zone. Did you take a picture? Put it in your caddy or hang it in your zones. Lastly, determine a cleaning rotation for your house. How often does each zone need to be cleaned? Several times a day? Daily? Weekly? Twice a week? Make the rotation based on what works best for your house. Don’t set yourself up by creating an unrealistic schedule or unrealistic expectations. Feel free add in some fun incentives! Allow kids to earn badges or certificates based on their accomplishments. Cleaning the house may sound like a dreaded thing to your kids. It’s important to remind your kids of the reasons they are being asked to keep the house clean, how much you appreciate them for being a part of the process, and celebrate them for mastering each zone. Here comes the real work! The first part of the system is to just show your kids how to clean. Make sure you first assign each kid a zone for a designated period. In our house, my kiddos will shadow me for one week while I clean their assigned zone. So in reality, if you have four zones, your kids will be shadowing you as you clean for four weeks. I told you this wasn’t a quick fix! During the cleaning session, give your kiddo the checklist you created. Have them observe you as you perform each step. Allow them to ask questions and ask them questions, such as “Why are we using this product for this area? Or How do we safely use this product? Each of these questions gets them thinking of the “why” behind the cleaning and not just trying to rush through. Remind your kiddo that the zone should take no more than 15 minutes. (If you went over 15 minutes, it should only be because you were explaining and dialoguing). Once your shadow week is over, it’s time for the kids to start cleaning. Unfortunately, you are still not off the hook. In our house, we believe it is necessary for our kids to master an area. We decided that we would rather have them master the zone than have to constantly go back and clean up after them. We usually stay on this step for about two weeks. If you find that one of your kids has mastered their zone while the other has not, let the other kids switch and continue your rotation. Put the child struggling in their zone back in the rotation once they mastered their zone. If you don’t have time to do it right, you must have time to do it over! I love this phrase because it sets the expectation that trying to rush through their zone is not going to fly. I have been known for calling my kids in from playing because they half-heartedly cleaned their zone in an effort to go outside. It may sound too tough for some, but getting called in from playing or made to turn off their video game a few times is enough to get the job done right. During Support Them! your job is to shadow them while they are cleaning their zone. Make sure they are set up for success by making sure they have their supplies, the checklist, and even the photo of the cleaned zone, if you took one. Now sit back and observe! Do your best to keep your mouth closed and refrain from criticizing while they are cleaning. If you find they missed a step, gently remind them. Your child should not feel stressed out or afraid of failing to clean properly. Use this time to encourage them and use words of affirmation! Sayings such as, “ You are doing a great job!” “Wow! I love how clean you got that!” will go much further than a criticizing them for not doing it right. Challenge your child to effectively clean their zone in 15 minutes or less. If the cleaning process is taking longer than that, it is possible that a second person is needed because the zone is too large or they are taking too long on a specific task. Send Them on Their Way! When it is time for zone cleaning, send your child on their way. You have already given them the skills and tools needed to clean their zone based on your standards and expectations. Just make sure you go back and check their work. Every child makes mistakes and some will even try to cut corners. Use this time to encourage your child to clean their zone properly. This is a great time to instill the incentives and rewards that were mentioned. If you have multiple zones and multiple children, you will walk through each of the three steps over and over. It may seem like you are still doing all of the cleaning. Actually, it will feel that way for a while. That is perfectly okay. You are doing more than creating a quick system. You are giving your children skills they will use for a lifetime. Show Them! Support Them! Send Them on Their Way! Is a great way to lay some of life’s foundational skills. The system can work with even your younger kiddos. There are tons of age appropriate charts that give examples of chores that can be completed by various age groups. The system works great and helps our crazy and quirky family of 8! Did these tips help? Make sure you PIN them to come back to later! Guest Post by Christel Brewer of Perfectly Blended and Blessed. Christel Brewer is a wife and homeschooling mother of 8 beautiful blessings. She is no stranger to knowing the importance of understanding one’s unique self. Born shortly after the passing of her father, becoming a young mother while in college, and struggling as a single mother of five children, she uses her life experiences as the foundation for her workshops. Every summer the same thing happens; I let go of our routines slightly, get a bit unorganized, allow the house to be more “lived in” and messy and just enjoy. But there is something magical about the start of the school year. It feels just like the start of a New Year to me. Everything seems brand new, I want to work harder on my goals and finishing the year strong and we start to get used to our new routines and schedules. And this year, on top of my stepson going into middle school and that adjustment, my 2.5 year old is starting PRESCHOOL! I know, I know… cue the tears! With my stepson staying at the same school, not much changes for his schedule but now it’s time to add in more sports, clubs and activities and it’s a recipe for disaster when it comes to remembering everything and just feeling on top of life. If you’ve been hanging on my page at all lately, you know I am OBSESSED with Trello, heck I even teamed up with my girl Elisa from Meal Planning Blueprints to make an entire COURSE around how it can help moms! Trello is going to be a mom’s best friend for back to school and I’m so pumped to be able to use it for the first time this entire school year. Trello eliminates having to have papers everywhere, forgetting dates and to-dos and losing things you know you need. Trello will also allow you to share your Back to School lists and to-dos with other family members so if you have older kids, it’s a great way to communicate and if you need your spouse to pick them up from practice or your mother in law to attend a school event, you can keep it all streamlined! Trello allows you to make BOARDS that you can organize with various lists and tasks. And because I know you don’t have a ton of time to do things, I’ve set up a Trello board just for you to copy for FREE! Just click the link below and you can snag my Back to School board (you’re welcome!) Just COPY it to your account and it’s yours to edit. If you don’t have Trello, just go here and get a free account! 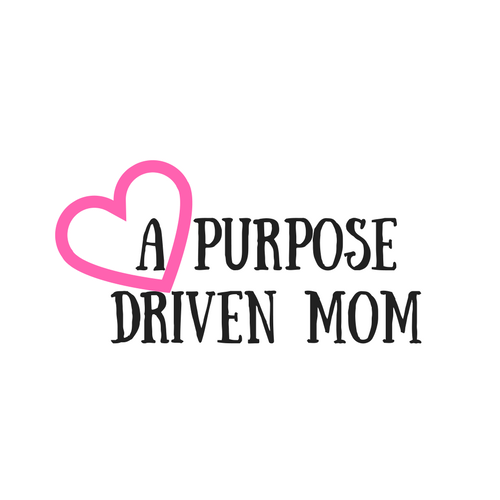 Between the website and the app, you’ll be in your Mom Organization Glory! If you’re not sure about Trello or want to see how I organize my board, I did a video for you to give you all the tips on making this board work for you and your family! You can watch that or check out the step by step ideas below! If you want to copy the board, you’ll need a Trello account to do so but it’s free so that rocks. Once you log in go on over to the right where it says SHOW MENU. Next, hit the MORE button and hit COPY BOARD. When you copy the board, you can decide if you want to rename it and where you want it to go. Feel free to use it as a template, to get ideas, and customize however you want! You can add as many as you want and even organize this board by kid or month. Now that you’ve created your lists, go though and customize each card. Some of my favorite ways to do this is to add links of ideas I see on Pinterest (because we all know we’ll pin a ton of things and forget to do them all) , link to my meal planning boards, and create master shopping lists. You can do this with multiple checklists on each card, adding in important dates, sales you see, organization ideas or adding attachments with specific links! I think one of the best features of a back to school Trello board is adding members so that you can all be on the same page. You can add your spouse, babysitter or whoever and if you want them to be responsible for a task or just let the, know of a date, use the @ sign and add their name. This way they’ll get a notification! There are limitless possibilities when it comes to Trello for back to school and know that you can be a less stressed mom ASAP! Now go grab this FREE back to school board, copy it and start to customize it for your family! Did this help you out??? Make sure you share it to your facebook or PIN it to go back to later! I intentionally take one day off a week. I started this practice 2 months ago and am so thankful that I did. Prior to this, I was just go, go, go and didn’t rest, felt pulled by my to-do list, and was starting to burn out again. I knew the feelings of burn out, I had been there before. 5 years ago, I left teaching to become a full-time entrepreneur and work at home mom because I felt the same feelings start to creep in. Now that I’m running my own business and family, I decided I needed some preventative measures to make sure that I was still taking care of me. Hence… my Saturday’s off. I decided to take Saturday ‘off’ so that I could really just do what matters. The only work that I do on Saturday is what I just feel like doing, no pressure or to do list. On Saturdays, if I don’t want to do laundry, house cleaning, or other ‘mom duties’, I don’t. I don’t really make too many plans unless it’s something we really want to do. Oh… and I take a nap. I really love my Saturday nap. But in order to make my Saturday rest day really work for me, I needed to make sure that I had a system for being very productive the rest of the week so I could relax, guilt-free. And once I decided that I was going to schedule out a day of rest, it became so freeing. The week started to go more smoothly because I knew that I had a day to chill coming up, I didn’t feel guilty anymore about letting myself decompress, and I just started to laugh and enjoy our family time more. I chose to have my rest day on Saturday rather than Sunday for a few reasons. Sundays, since we go to church, still have us on a schedule to make sure we get out of the house on time. My husband delivers the newspaper as a side job right now so, he works Sunday mornings and I want to make sure I can give him rest time when get gets back at 6 am before we go to church. Sundays are also my day to set my week up for success. I may do some grocery shopping (though I often like to do that on Saturdays. I actually really like grocery shopping because I love to coupon and it’s a hobby for me and on Saturdays I get to go without kids! ), I’ll meal prep so that I can save time during the week, and I’ll work on organizing my week, my planner, and other work tasks that I need to have a super successful and productive week. The #1 thing that I suggest you start your Sunday with is meal planning and preparation. I actually have a system where I make the meal plan on Friday, shop on Saturday and cook on Sunday so that I don’t do it all on one day. However you decide to do it, make sure you plan out your meals for the week. We keep it pretty basic and have a rotation of 2-3 breakfast, lunch and dinner options each week. My husband doesn’t mind eating the same thing each day and it’s easy to be predictable with the kids. I’ll spend some time doing some basic preparation like cutting up fruits and veggies, making salads, cooking up rice, steaming veggies, browning some ground turkey for quick lunches, and boiling some eggs. I then make sure that I have listed out what’s for dinner each week so that I can check the fridge and see what I still need to get at the store. I try my best to make our plan from what we already have to save money and not have to go to the store as much. I suggest even packing out as many salads for lunches in Tupperware as much as possible (even if you stay home) because then you can grab and go instead of preparing things. This helps a ton if we decide last minute to go to the park, or meet up with friends because the food is ready to go. It also prevents me from running out of what we need or knowing what i have to stop for. I have a cleaning system where I do a little cleaning each day so that it doesn’t pile up but that doesn’t mean I don’t do anything on the weekends. Often after my Saturdays off, my house needs a little more TLC since I probably didn’t do as many dishes or pick up as much. And what I have now just come to accept as a mom is that my house will probably always be covered in stuff, things will be out of place, and everything will just be sticky. But that doesn’t mean I won’t try to make it just a little cleaner. I also find that when the clutter builds up, my anxiety peaks and for me ‘outer order leads to inner calm’ so taking time on Sundays to clean up really helps. My suggested Sunday system includes laundry (I do 1-2 loads each day so that it’s easy to put away so my Sunday laundry is normally the same), sweep and mop the floors, vacuuming the playroom, and doing a Zone clean up. Before I go to bed on Sunday, I make sure that I’ve done my typical evening routine and an additional 15 minute clean up. There is nothing more exciting for me (I know this is going to sound really nerdy haha) than waking up on a Monday morning where there are no dishes in the sink, my kitchen table is cleaned up, and the clutter is gone. It’s really my favorite way to start the week. The last thing that I do to set my week up for success is to make sure I have a plan in place. Often, people ask me how I can be so productive and get so much done and, while I have some hacks that help, one of the things that helps is that I always take the time to plan. I took a training with the Franklin/Covey system once that really changed the way that I planned. I learned all about the power of weekly and nightly planning and have since been implementing it for years. It’s what I do in my life, what I teach the moms that I coach and what I teach in my e-book and course; Design Your Day; Time Management for the Busy Woman. On Sundays, I take out my planner (I use a mix of a paper planner from Erin Condren, google calendar, and Trello) and look at my week ahead. I start with putting in all the dates of things that I cannot change like doctor appointments or meetings. We use a family calendar in the kitchen so these things always get written on their first and then transferred to my digital system. After those dates are in, I then plan out what tasks I want to accomplish that week. I create a list of personal items, business items, and projects (around the house and for work) that I want to complete. I break them down into 20 minute tasks so that I know they are manageable and easily can be accomplished in a day, rather than overplanning myself and getting frustrated when it doesn’t get done. Next, I go into my planner and actually assign 3-5 tasks for each day. I split them up so that I Pick 1 personal task (call grandma, put pictures in frames etc…. ), 3 work tasks (write a blog post, create images, email clients….) and 1 project task (brainstorm ideas for a birthday party, work on mother’s day scrapbook etc….). Assigning those things to a day BEFORE the week starts allows me to know what is going to happen and have a plan. This way, when it’s nap time and I get to work, or I have free time after dinner and want to work on a project, I’m not wasting time thinking about what to do, I can just take action. Trust me when I say that if you set up your week for success you WILL be able to get more done, feel more accomplished and actually take a day off to rest and not feel the mom guilt! I challenge you to start using this system (or one that works for you) to take more control in your life! If these tips helped, make sure you share on your social media and PIN them for later!! When it comes to organization if you’re like me, you probably tell yourself over and over that you will get things together… on Monday. And then Monday comes and something happens and you decide to push it off and push it off and push it off until you’re like that lady in the tupperware commercial with everything falling on her (that seriously happens to me once a week! But have no fear! You CAN get the kitchen and pantry organized and in control, you just need a system that works for you! So how do you start to conquer all the kitchen clutter without getting overwhelmed? Check out my top tips 3 tips to take action today! So often we overwhelm ourselves by trying to jump in and conquer a big problem head on instead of taking the time to figure out the small steps needed to get there. On our way to trying to do everything in a hurry, we also bite off WAY too much. And as nice as it sounds to say “this Saturday I am going to organize the kitchen”, we know in reality it’s not going to happen. I suggest you start with 15 minutes a day. 15 minutes may not seem like a lot but 15 minutes spent every day for 30 days will have your kitchen organized in no time! It is so hard for us moms to find time to pee, let alone time to take everything out of our cabinets to organize it so don’t try to tackle this project in one day. Schedule 15 minutes in your day (yes, I want you to put it in your planner) that you can consistently keep up with. Maybe it’s right after you do your evening routine and make all of the lunches for tomorrow, or maybe it’s the first thing you do after nap. Whenever you decide to do it, schedule it in your planner and set a 15 minute timer to get going. When the 15 minutes is up, it’s done. You can keep going or you can stop, it’s completely up to you. Make sure though, that you don’t decide to conquer 4 shelves in that 15 minutes. Pick a small section to work on each day. For example, day one could simply be your utensil drawer or all the tupperware. Chunk out super small sections that you can do so that you can feel immediate success. Head to that section, empty it completely, wipe it down and clean it out, and put everything back in. While you are putting back in, I want you to do an inventory of what you have (for the food sections) and throw out stuff that is broken, doesn’t belong there, or that you really will never use. We wind up collecting so many kitchen utensils and appliances that you never wind up using that just take up space physically and mentally. Outer order leads to inner calm and the less physical stuff you have in your home and in your face, the less stress and anxiety you will have in your life. Trust me, I’m a wannabe minimalist who knows how good an empty counter feels! I keep a similar chart in the other food sections of my pantry for general canned or boxes items. We follow the Capsule Pantry system and I create a monthly dinner meal plan so we use a lot of the same ingredients over and over. I like to see how many cans of tomatoes or boxes of rice I have so that, when it’s time to make dinner I can just grab and go. Doing a food inventory will also start to save you a ton of money. You’ll notice ingredients that you might not have even known were there, can use them to make some different meals, and not just grab another can of chicken broth ‘just because’ when you’re at the store. While you’re cleaning and doing an inventory, make sure you toss out any expired spices or food items you have. If you have an item that has been there forever (but isn’t expired) and your family just doesn’t eat, put it in a bag and drop it at a local shelter or food drop off location. Like I said earlier, outer order leads to inner calm, and our countertops are the biggest place of clutter in the kitchen. For some reason we stack everything on the counter and then get so frustrated because we don’t have space to cook or do any of our regular kitchen chores. I highly recommend getting rid of as many appliances as you can or at least move them off your counter. Ask yourself when the last you used it and if you hadn’t in this past week, it should NOT be a counter appliance. Keep the stuff out that you actually use and store (in a easy to grab place) the rest of it. Make your counter inviting and easy to access and you’ll find yourself cooking in it more and actually enjoying the kitchen. Every night, as part of an evening routine, I recommend doing a clean up of your kitchen so that you wake up and don’t feel behind. Make sure the dishes are loaded and sink empty, take out any trash, and wipe down all the counters. And the less stuff you have out, the quicker and easier it’ll be to get it clean! As you go through organizing your kitchen, make sure you celebrate all of the small wins you have! It won’t happen overnight but if you use your time wisely, within one month you can have transform your entire kitchen into a place you love that doesn’t stress you out! Want some help getting started? Download this 30 day calendar with 15 minute clean up areas that you can tackle each day! See a tip that helped you? Sharing is caring! Share it on your Facebook or PIN it! How to Slay Your Goals with the right Planner. I am a planner addict. I seriously don’t know why I keep buying so many but I do it every year. I’m also a paper and pen girl. As easy as technology makes it for us, there is just something amazing at getting to physically cross off something I’ve done for the day. And I write down EVERYTHING. From doing laundry, to making phone calls, to even sometimes showering (yes mamas… you know what I mean!) it all gets written in my planner. I got the opportunity to check out the Slay Your Goals Planner from Nadalie at Its All You Boo and was super pumped to dive in. So from one planner addict to another, here is my honest review after using her planner for a month. My initial thought when I got the planner in my email was “oh heck no I’m not printing 60+ pages”. But, I took a breath and decided to not freak and check it all out first. From just scrolling a few pages I realized that I didn’t need to print it all out right now but just what was relevant for my goals and what I needed right now. Since a lot of her goal setting sheets were meant to use quarterly, I only needed the ones for the next few months. I follow the principles of the 12 Week Year which helps you make quarterly goals so this was a perfect fit for me! My second thought when I saw this planner was O.M.G this is GORGEOUS! Let’s be real, if something is pretty, we’re more likely to want to use it. I mean that’s why I buy a million planners and any sort of pretty notebook with a fancy quote on in and this planner does not disappoint. Nadalie did an amazing job designing it, and the colors alone made me want to set bigger goals and work through the sheets! My favorite part of this planner was that it is SO much more than a planner! Before you even get to the basic planner type pages, you dig deep into your intentions, your passions, your goals and your life. You’ll need to schedule out some time to go through all of the sheets so you can really put some thought into it. Honestly, it took me 5 days to actually find the time to get through the first chunk of pages and think about my yearly, quarterly and monthly goals so it was a time investment. I loved that this planner was set up by quarters and really had to go deep to identify who you’d get to your goals, ALL of the little steps along the way, and even who is going to be in your corner as you attack these goals. Each quarter the planner sets you up to go through and reflect and rethink about what’s happening in your life and how you can pick the day to day activities to move you there. Now if by this time you’re like ‘wait a minute, I need a place to write down those little things too!”, have no fear!! On top of all the goal setting sheets, quarterly and monthly planning, this Slay Your Goals Planner still has all the planner basics including yearly snapshot calendars, monthly planning blocks, a place to rate your priorities, and a daily planner so you don’t forget about the kids soccer practice or doctor’s appointment. Her daily planner was one of my favorite features of the planner. Yes, you need to print it out for the days you want to plan so that’s a bummer BUT it has ALL the hours. My biggest pet peeve when it comes to hourly planners is that they never start early enough for me or go late enough. I start my day at 5am and it ends around 11pm and I like to plan it out. Most planners start at 7am or end by 8pm and that doesn’t help me out at all! This planner includes an Early Bird and Night Owl option so, no matter what your schedule, you can make it work! Listen mama, if you’re just looking for something to keep your dates and times so you don’t forget to go to the doctor, this probably isn’t the planner for you! This planner is best for the woman who wants to really figure out what she wants in life and come up with a plan to get there. This planner is going to make you really think about your life, what you want and how you’re going to get there. It’s not a planner for the person who just wants to pretend at achieving their goals but for the woman who really is tired of feeling stuck! I highly recommend the Slay Your Goals Planner for anyone who followers the 12 Week Year or wants to do quarterly goals! This planner really sets you up for success if you take the time to do it! Want your copy??? Head over and grab it now!